For my purposes, I am running reports in Nielsen to access particular data sets I need for TV metrics (impressions). I feel that the ease of use and pretty basic format of the platform, works in my advantage for someone who is not of a dev mindset but needs to pull comprehensive reports. Would really love it if Nielsen offered insights and the ability to pull numbers for streaming and digital content. Currently, we rely on traditional and of that most SVOD viewership is not taken into account. Moving forward, this is the future of the industry and Nielsen needs to catch up and make it readily available to it's customers. Nielsen is the standard of the industry, there really is no other data and measurement company that is as trusted as Nielsen. It has some processes still logged in the past but they are moving forward to make improvements in these areas, and try to accommodate the future of the data measurement we need (streaming for example). I have also had great experiences with our contact/service at Nielsen when I have needed help in the past. Data collection, metrics measurement and validating ROI on traditional series. The user interface is clunky, old, unattractive, and many selection screens are not very user friendly. In addition, it's frustrating to encounter bugs in the system that require me to log off and log back in again, wasting valuable time. The reliability of running a refresh is disappointingly low. "Current user of Nielsen Answers On Demand service"
I like that it is a web based service and you are able to access and use from wherever you are. I do not like the layout function of the software. It is not intuitive and takes quite a bit of manipulation to ensure you are actually laying out your data selections appropriately in order to return the data you are looking for. 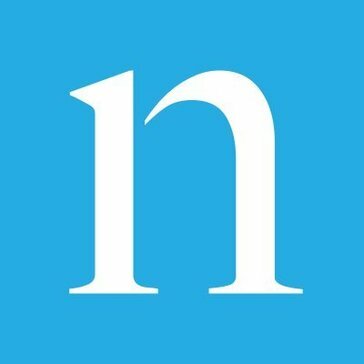 I use Nielsen most frequently to monitor new item launches and also conduct deep dives on promotional activity to understand where there are optimization opportunities. 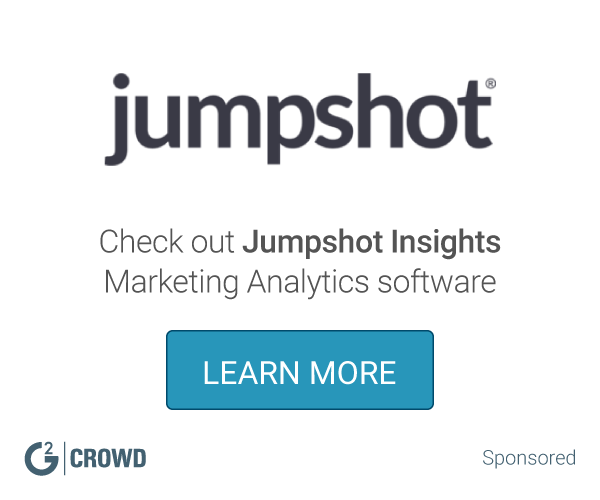 "The industry's Gold Standard for media and online analytics! " I use Nielsen for radio and TV broadcast analytics for one of the major media companies and we've been able to find opportunities for our advertisers that they couldn't have known about otherwise. It does have a learning curve, specially for markets that have daily ratings. They have the necessary infrastructure to help any company get started and continue to grow. We've been able to identify what our stations strengths and weaknesses regarding viewership, which helps to better position our station according to our clients' needs. Nielsen provides accurate 3rd party data. The particular database we use at our company is for retail products. Nielsen provides pretty accurate retail sales data, that cover 90% of the market we play in. They also offer information by SKU level for region retailer chain. They have various scantrack metrics, such as volume, sales $, price, distribution, and also calculated metrics to help companies with the analyses. As a result, this is not exactly the 100% accurate picture of the market. They also have smaller retailers, like gas station or mom&pop shops that they don't get data from. What they do is that they will gather 40% of the total US market data, and apply statistical model to extrapolate what the full U.S. market looks like. Another big chunk of retailer, Costco, does not provide data to Nielsen, so that is also something that we are missing on. Nielsen also offers various research studies and analytics products that can help with our decision making and improve our business. Our company has used their price elasticity and promo event studies to improve revenue..
"My go to resource for insights "
Gets me to quick, actionable insights that I can use on the go when in customer selling meetings. The interface for excel needs an update. It looks like it hasnt been changed since the 90s. Also, instead of the abbreviations, writing things out plainly would be helpful. I dislike havig to guess abbreviations and acronyms. Use their answers on demand platform over excel extractions - it's a much better interface! Every month when new data is available I pull Nielsen to see how my brands and products are doing. This allows me to have more meaningful conversations about opportunities, innovation decisions and where to put my bets for trade dollars. Nielsen platform is very easy to use and the data is very rich for retail analysis. We used it for category analysis for presentation to retailers to help them manage their category and products. The data is very easily to obtain and integrate with other internal data sets. We used it for category analysis for presentation to retailers to help them manage their category and products. The data is very easily to obtain and integrate with other internal data sets. I like in the Ad Intel section how you can filter your request for information/data precisely down to what you need and it send back what you requested in an orderly manner with creative that is being run by competitors. I dislike how long it sometimes takes to get back the information that you need. Understanding competitor actions and progression. Great for strategizing a plan of action. "Nielsen Marketing Cloud Makes Media Planning Easy"
I like the use of AI technology in Nielsen’s Marketing Cloud solution. It allows me to make live changes, as they happen. I am not a huge fan of the multi-touch attribution, as I don’t often use it. Nielsen has allowed me to execute my media plan across multiple channels, making strategies easy to implement and follow. Credible data that is the linear currency in the ad sales industry. UI is slow and hard to use. Not straightforward or user friendly. How to craft stories to sell media effectively. "Great features, easy to pick up and learn." Ease-of-use, soft on the eyes, great business tool. Fast on Wi-Fi, slow on personal data. Slow start-up. Faster data input, I'm the fly problem solving. Nielsen is best option out there for linear data. It’s widely used, understood, and integrated. Most media companies report using Nielsen data — I would argue that the numbers don’t translate well between linear and digital. Need updated industry metric. Understanding reach and ratings of linear tv along with campaign ratings. "Helps discover competitive data against our brands"
Ad intel helps with creating reports for competitive data. This data is helpful when targeting demographics for specific brands. "Invaluable experience with direct hands on monitoring of products." The organic feedback received and given. The turnaround time was not adequate. It didn't always provide timely feedback due to the mail order component. Product implementation and "bugs." Gives potential customers hands on experience with the products. * We monitor all Nielsen reviews to prevent fraudulent reviews and keep review quality high. We do not post reviews by company employees or direct competitors. Validated reviews require the user to submit a screenshot of the product containing their user ID, in order to verify a user is an actual user of the product. Hi there! Are you looking to implement a solution like Nielsen?